Yo WhatsApp, Yousef WhatsApp, YoWA, YoWhatsApp etc. are the same name for unofficial modded WhatsApp version developed by Yousef Al Basha. WhatsApp has become a goto app for the online chatting and social media. It is so user-friendly that many other chatting and social media apps are failing to compete with the WhatsApp services. However, WhatsApp has some limitations in it, which will make the user feel wanting for more. Because of that, many developers and programmers are modding the official WhatsApp to remove all limitations. YO WhatsApp is one of them. In this article, I will explain the steps regarding download latest YO WhatsApp or latest YoWA. The limitations of WhatsApp are not many but some of the limits are creating problems for many. WhatsApp developers design the software purposely as it will help in increasing security, privacy, and account setting policies. For example, in WhatsApp, you can hide last seen option. However, you cannot hide online option or double tick blue indicator that says that the receiver has read it. Newer version has this option, which is good. Apart from this, media transfer, status upload, background, wallpaper etc. are not that great. Latest YoWhatsApp Apk will solve your problems by lifting the limitations. Latest Yo WhatsApp features include a special set of emojis, emoticons, and GIFs, which are designed by many graphic designers and programmers. Because of this, you will never run out of emotions on Yo WhatsApp apk. You can even change your default interface from green to something else. This is a newer and cooler feature from Yo WhatsApp. For privacy, you can hide pretty much everything from double tick to last seen. Latest Yo WhatsApp apk includes its own app locking feature. Incredible collection of themes are available. You can easily send the messages to a number, which are not saved on your mobile. You can even send 700mb of videos and 100 images at once without any limit. To do that you need to download Yo WhatsApp apk on your mobile. To download YoWhatsApp Apk, you need to click the download button mentioned below. Before doing that, you can select a Downloader for error free download. Once you click the button, click on save apk. The file will be saved on your device inside your memory card or internal storage. Once the complete process of Yo WhatsApp download is over, you can switch for downloaded location. First, enable the install from unknown sources from settings. Open the installation package and click on install. Once done, the application will be installed on your mobile. Simply open the latest YoWhatsApp Apk and configure it. 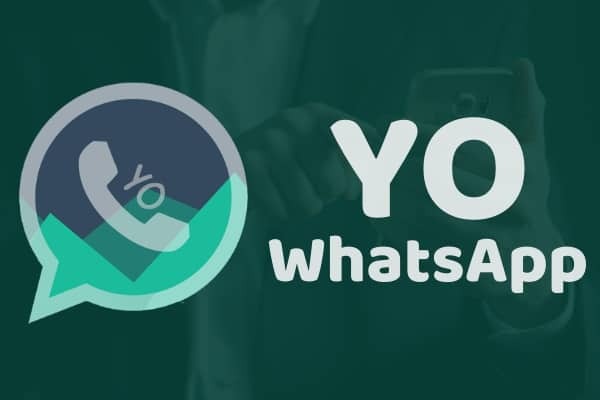 Yo WhatsApp Apk app or YoWhatsApp Apk app has hit the modded apk market with high expectations as its previous versions have been very successful. Once the download Yo WhatsApp apk is done, install it without any fear as it is safe. You will not get this app from PlayStore. So, download from the article to get the latest app for full services. Ankit is Founder of Technoxyz and a passionate blogger. He loves new Gadgets and Tools. He generally covers Tech Tricks, Gadget Reviews etc in his posts. Beside this, He also work as a SEO Analyst at Technoxyz.